Throughout the past few years, realtime peer-to-peer (RTP2P) apps were made for online chat (Blue Chat), gaming, file sharing (Bit Torrent) and social networking. Today, some emerging businesses have begun to explore app-powered peer-to-peer engagement. RTP2P mobile apps bring people together. Your target audience can now play cross-OS games. They can share their contest-entry photos using iOS, Windows RT and Android devices. They can use cross-platform productivity tools to collaborate on projects, build community networks and, especially recently, help each other book a room or car service. iRide, an Inflexion Interactive client, provides access to car services throughout NYC. By using iRide, companies, individuals and car services access a realtime transportation network. Uber is a similar realtime peer-to-peer app that’s made for transportation. Airbnb is a recently re-imagined peer-to-peer mobile app. It’s an apartment rental network that connects guests and hosts. Within this mobile app is Groups, a new feature that brings hosts from the same city together to exchange tips, stories and best practices on the fly. TaskRabbit is a realtime peer-to-peer mobile app that’s made for crossing off your to-do list items. It lets you quickly connect with helpful people near you. You ask for what you need, and someone responds to you. Just imagine outsourcing your crosstown errands for a day. Tinder is a real-time peer-to-peer matchmaking app that provides anonymous opportunities to connect with users nearby. Some call this popular mobile app an assault on one’s self esteem. Others champion their ability to perform a sort of fast-paced dating ballet. Have you imagined the ways in which your brand can engage people on the fly? From a building a game for VMWare to developing a car service network for iRide, our team knows the benefits of realtime engagement. Bring more traffic to your website. Introduce a new product or service. Give your brand ambassadors more power to relate. 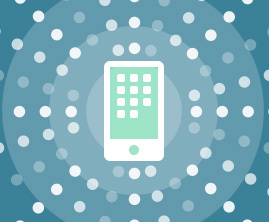 How do you know what kind of realtime peer-to-peer mobile app you must build? Ask your customers what they want. Seek out their key insights. Only then will you know what it is you must create to bring realtime peer-to-peer engagement that empowers your brand. Contact us to explore the kind of mobile app that’ll influence tomorrow’s consumers.